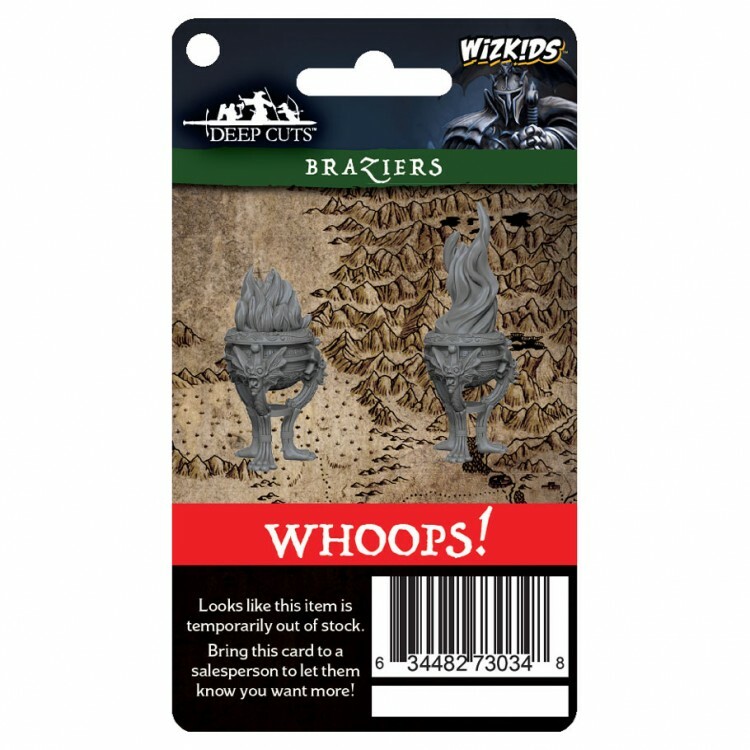 Are WizKids Unpainted Miniatures flying off your shelf faster than you can restock them? Are you looking for an easier way to track which products you need to reorder? Are your customers frustrated when they're not able to find the miniature they're looking for when browsing through our vast selection? Look no further! WizKids, in conjunction with Wizards of the Coast and Paizo, is releasing Unpainted Miniatures Retailer Reorder Cards for the first six waves of WizKids, Dungeons & Dragons, and Pathfinder Unpainted Miniatures! Each pack of WizKids Unpainted Miniatures: Retailer Reorder Cards contains cards for all 198 items in the first 6 waves of WizKids Unpainted Miniatures! Designed with a hole in the upper left corner to allow hanging from a ring (ring not included) or to be placed at the back of a row of product, the new design features a bar code on the front to allow for easier restocking and inventory management.